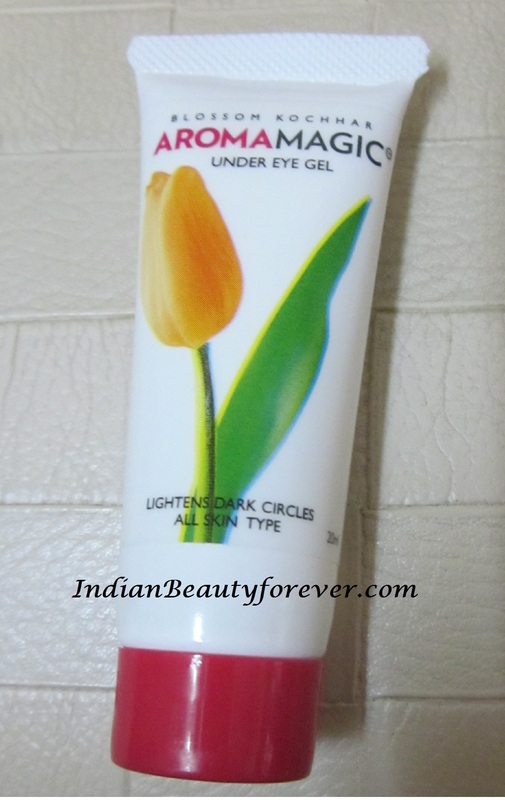 Today I will be reviewing Aroma Magic under eye gel. As we all know that our eyes are important in one’s beauty as well. Due to hectic schedule or sitting in front of the computers or the television makes them tired and they are hence prone to dark circles and fine lines. So, it is very important to care of them by taking proper care and an easier way to take care of them can be done by using an under eye cream or gel religiously. I have never used an under eye gel or cream before but after reading a lot of reviews on the under eye products, I decided that its better to start now. Hence, I got this under eye gel from Aroma Magic which is a skin care line launched by Blossom Kochhar and I am sure most of you are aware about this brand. What the Company claims - Prevents fine lines and wrinkles around the eyes & lips. Lightens dark circles and rejuvenates tired eyes. Ingredients- Extracts of Rose, Lemon, Aloe Vera, Green Tea and pure essential oils of Chamomile and Lavender. Packaging is good, hygenic and travel friendly. It is cheap and easily available in grocery shops and online. It has a gel consistency which gets absorbed easily. To some extent it does helps in reducing puffiness. It does helps in preventing Fine lines. It prevents fine lines but does not reduce them. 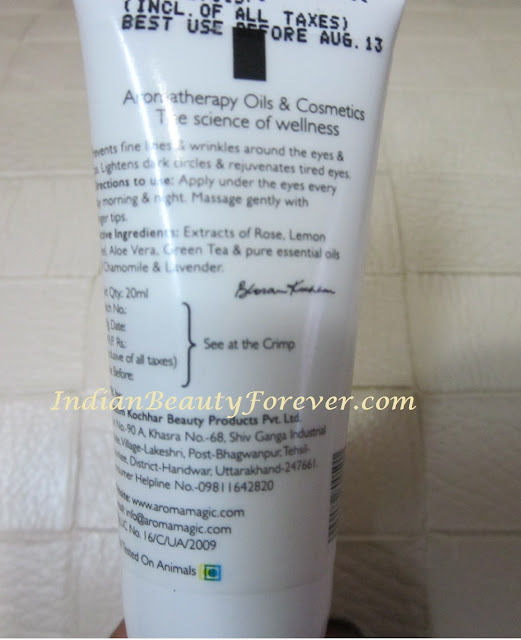 My take- If you are looking for an under eye gel that helps in preventing fine lines and puffiness then do give it a try as it gets absorbed easily and the extracts that it has are very soothing for the under eye area however, do not expect that this will vanish the lines or puffiness.I love this. I ain't sure about this product but I do love Diamond Cellular Multi-Perfection Eye. It's really good and effective.